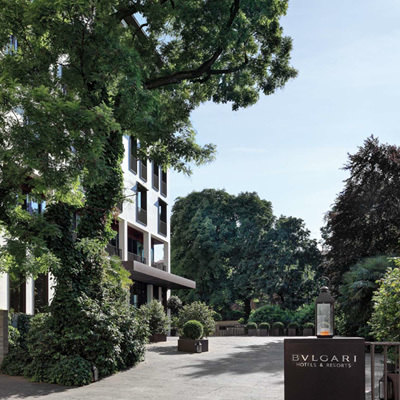 Located in the heart of Milan, the Bulgari Hotel lies in a wonderfully tranquil location at the end of its own private driveway. 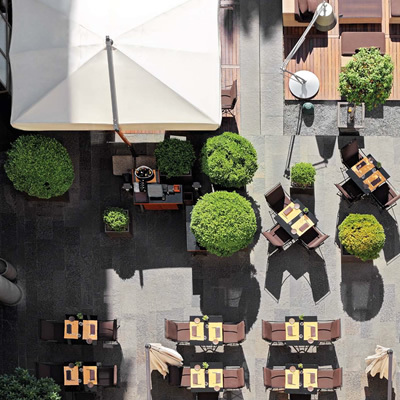 Milan is Italy’s largest and busiest city, and although the Bulgari is only moments away from the city centre it provides a stoic calm that characterises this idyllic and seclusive retreat. Upon arrival you are greeted by Bulgari’s doormen, immaculately dressed in the hotel’s signature uniform and with an air of professionalism that fills you with confidence that you’re going to be well looked after. The doors were opened for us, our luggage was attended to with precision, and we were escorted inside the hotel lobby for a swift check-in. 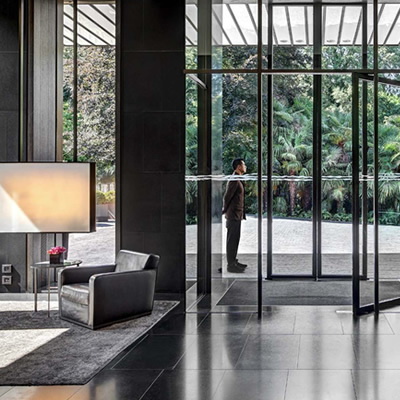 We have been guests at the Bulgari in Milan a number of times and the welcome we receive, along with the sense that you have ‘arrived’ is quite unmistakable, and not matched by many. Our room wasn’t quite ready on this occasion, so we retired to lounge in the lobby to enjoy a chilled glass of wine. The lobby itself is a wonderful area to relax, unwind, and even catch up with friends. 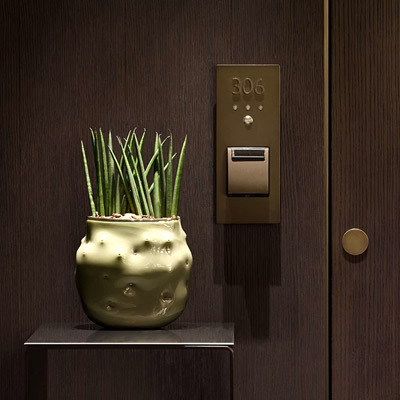 The Bulgari’s signature decor can be seen throughout, the blend of natural tones immediately adds to the sense of calm, while the offset of greys and black remind you that the hotel means business. Looking around you could almost be in a gallery, not any ordinary gallery but one that offers a place to recline and admire the surroundings. Taking in the surroundings is best described as a penultimate luxury, with a modern simplicity that adds to its expense. The lobby also overlooks the hotel’s garden, which is rather beautiful and enchanting all year round, it’s a bustling epicentre at the height of summer. A place to gather and enjoy an aperitif while enjoying the summery Italian weather. Our room was soon ready, and we were escorted into the lift and to our Junior Suite. 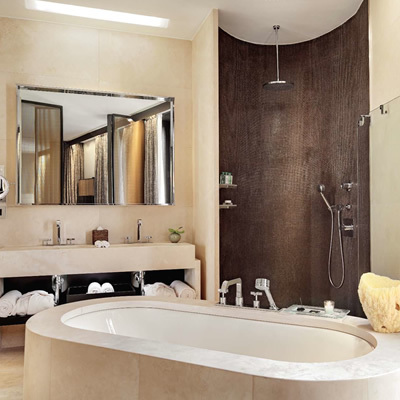 The suite was situated in a secluded section of the hotel, which provided the ultimate feeling of exclusivity. There are only two rooms per floor in this section of the Bulgari, so we didn’t encounter any other guests in the hallways during our stay. It’s not that we are antisocial, but I have to say it’s a welcome feeling that you’re the only guests on a floor. 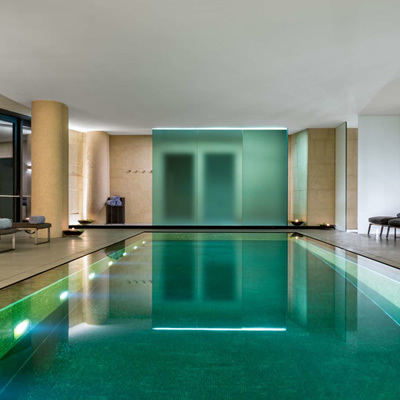 One must remember that hotels like the Bulgari are chosen for their feeling of privacy, sanctuary, and exclusivity, and we certainly experienced this. Upon entering our suite we travelled down a wood-paneled corridor housing our spacious walk-in wardrobe, where we found our luggage had already been placed. The magnificent four-poster bed is the first thing that draws the eye when entering the bedroom. With its slim hand-crafted frame is feels quintessentially Bulgari, and with its plump pillows and crisp sheets it’s almost like it invites you to dive straight in. We managed to restrain ourselves as we noticed the spacious area containing a large, comfy sofa, the kind of which you want to recline in whilst enjoying the views overlooking the hotel’s driveway. The bathroom is marble, and the scent of Bulgari toiletries are instantly recognisable and a scent that stays with you after you leave. The large, deep bathtub which sits in the wet room next to the shower area is almost as tempting as the bed, while the toilet and bidet sit behind another glass door. There are also twin wash basins in the bathrooms entrance area. Moving onto the spa, you are spoiled for options. There is a beautiful indoor heated pool, along with a sauna, steam room, and an outdoor hot tub for those looking for a relaxing afternoon. The spa also offers an impressive selection of treatments, making this the perfect destination for anyone looking to relax and be pampered. The Bulgari has its own bar and restaurant which must be experienced. There is a glass wall in the bar allowing panoramic views over their private gardens. While the restaurant has a beautiful terrace in the garden area that looks like a secluded oasis, pure joy in the summer months for a spot of al fresco dining. If you’re fortunate enough to visit during the festive period you’ll find hot chocolate being served in the lobby area, with options like chilli flakes, cinnamon, and coconut. The lobby area is a celebration of Italian design and a real pleasure to spend time in, its simplicity draws you in while enchanting you with beautifully crafted furnishings. 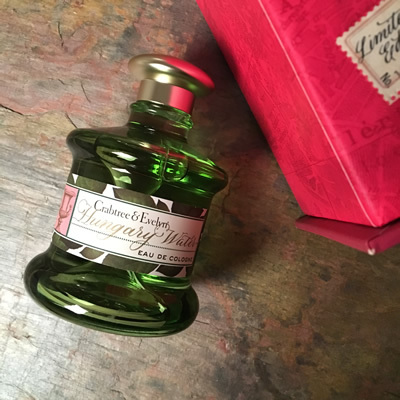 We must also mention the turndown service which includes a hot metal flask of Rooibos Tea, this is a welcome concept and most enjoyable before nodding off to sleep, another example of the many exceptional touches that the Bulgari has to offer. The Bulgari Milan has never failed to impress, we always leave with the most pleasant lasting memories. A truly fine example of five-star luxury. 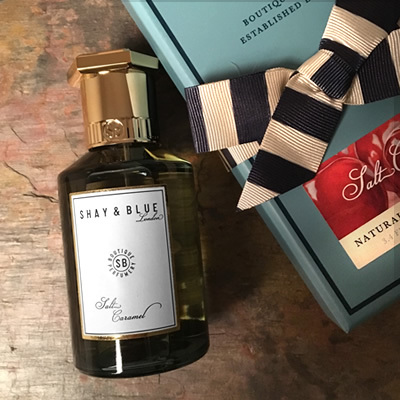 It's essential to ensure you always have the perfect travel companions, this is what we packed in our suitcase for our visit to Bulgari Milan.